The term “Bible Belt” was coined in 1924 by H.L. Mencken, a journalist and social commentator for the Chicago Daily Tribune, in reference to the religious South. Generally speaking, the term refers to socially conservative Christian Protestants found in the South and parts of the Midwest. I have to admit, I was pleased to see that on a 2010 Gallup Poll (here) that reported on the states’ attendance at church, 9 out of the top 10 states were southern and my state was #1. It was really nice to see my state get top billing for something good. Typically, we are on the bottom. Church is an important component in our society. It’s a place of friend building and networking, not only a place of spiritual growth. When meeting a southerner for the first time, within the first 5 questions, the person will be asked, “What church do you go to?” or “Do you have a church?” Some might find this line of questioning off-putting, but to a southerner, the question is really about connecting that person to something and helping us understand and know that person better. I can’t imagine my life without church. Spiritually speaking, I like being connected to a community of believers who encourage me, inspire me, and hold me accountable in my faith journey. I like the nourishment that I find for my spirit there. Socially, most of my friends and activities are church centered. I’m just a church girl. To learn more about religion in America, Hartford Institute for Religion Research has all you need to know at this site, click here. What church do you go to? How important do you think church /faith is to a society? Are you a reader? I am. Quite often, I’m reading several books at a time. Last year for the 31 Day series, I shared some of my favorite books which you can find listed here. The hardest part of last year’s series was trying to choose which books to showcase. The South has a rich literary community and it’s culture, landscape and people have inspired a treasure trove of fascinating tales. The first southerner to win the pulitzer prize for fiction was Julia Peterkin for her novel, Scarlet Sister Mary. Her book was considered so scandalous that it was banned from one of the libraries in her home state. 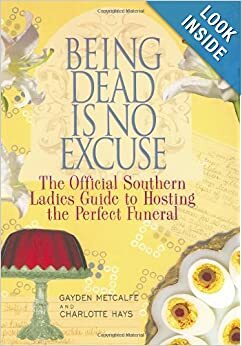 I’ve compiled a list of books for you that I’ve enjoyed by writers from the South. I had a hard time culling this list down. I hope that you will give these talented southerners a try. If I didn’t list your favorite, please share it in the comments. I love hearing about new books to read.